It helps that The Big Sick is a true story as it makes the film feel authentic. This is a romantic-comedy but in the loosest sense. The romance isn’t fabled or fairy tale, the comedy isn’t too broad or stereotypical and the story itself doesn’t follow the same usual patterns. 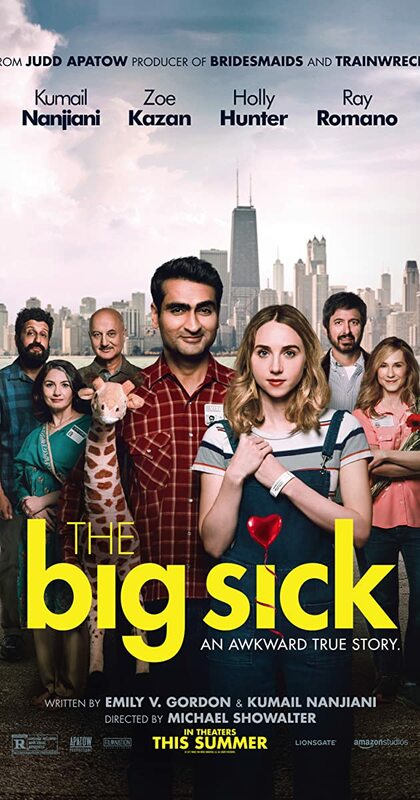 In fact, it would be better to describe The Big Sick as a drama with hints of humour. Those hints of humour are subtle but very funny when they come. The fact this was written by comedian Kumail Nanjiani, with his wife who is also a subject of the movie, helps the comedy flow. There is very little slapstick or caricature characters here and the humour is not in the mismatch relationship but in areas where comedy wouldn’t usually be found. This is a film where a main character is in a coma and a new boyfriend is making strained conversation with parents he hasn’t been formally introduced to. 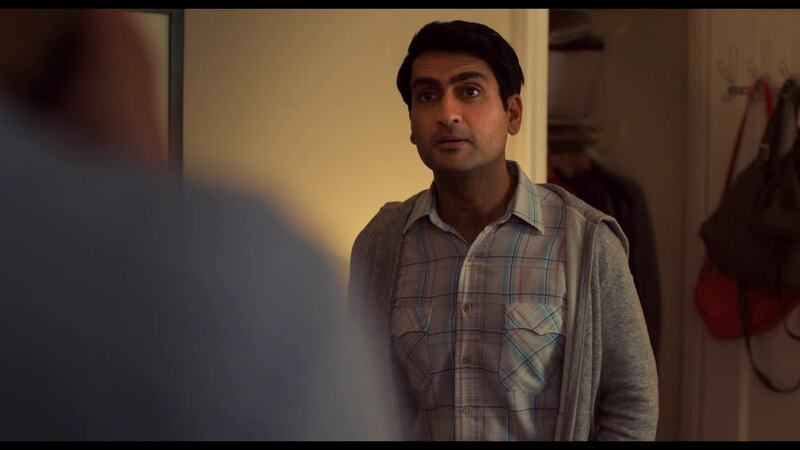 This has plenty to offer in the comedy stakes but add to this the cultural commentary too, with Kumail’s character trying to come to terms with his Pakistani heritage and his parents attempts to arrange a marriage. This is played for laughs too but not by making fun, instead by highlighting the absurdity of the situation our main character has found himself in. Kumail holds this film ably too. He is a likeable lead without having to resort to the buffoonery that can often plague romantic leads. He has great chemistry with the impressive cast as well. He has a host of scenes with the parents of his new girlfriend, played excellently by Holly Hunter and Ray Romano. This is a tragic and difficult role to play but both of the actors are funny, heartfelt and manage to make the roles appealing and understandable too. The real chemistry is with Kumail’s new girlfriend though and this is where the truth of the story comes into play. The relationship feels real. It doesn’t sugar-coat anything and it play off the awkwardness of the first dates and even finds time to add relatable humour like how you go “number 2” with a new boyfriend within hearing-range. It is a relationship which you can watch and root for easily so when tragedy does strike, the outcome means so much more. This is why it is a shame that the film does start to lose it’s way as the story resolves itself. The comedy takes a backseat and what emerges is a movie much more recognisable in terms of tragic drama and it loses the charm which made it feel so relatable. Luckily, by this point you are invested enough to excuse the more traditional ending and you leave the film happy as the credits roll. 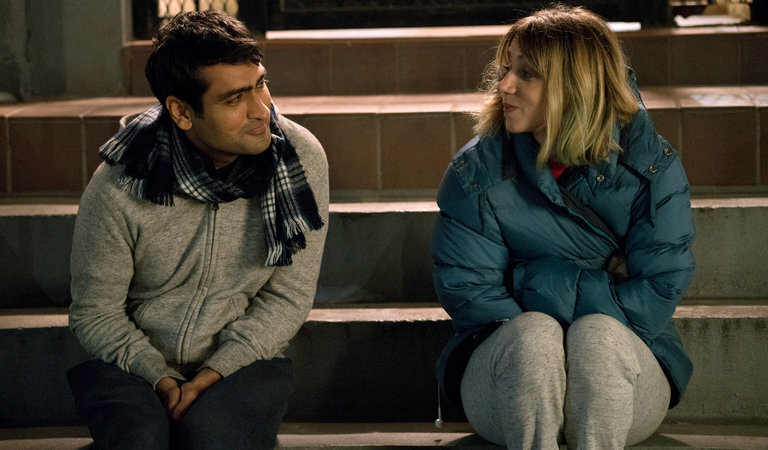 Overall, The Big Sick is a modern romantic tale with a great vein of humour throughout. The casting and performances make the film work so well but it is the central relationship which will keep you invested, even as the film starts to lose it’s way.